Earlier this year, Nalco Water, an Ecolab company, launched Water University, a learning environment designed to bring the current information about water sustainability and technical innovations to its field engineers and customers alike. Below, Nalco Water’s vice president of water research and development, Andrew Cooper, lays out the ideals behind and goals for this ambitious undertaking. Find out more at www.ecolab.com. 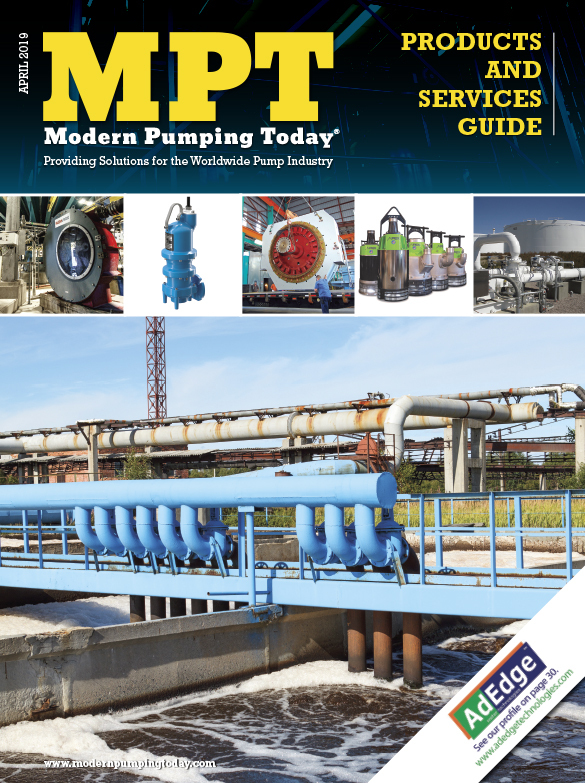 MPT: Where did the idea for Water University originate and what need is it intended to fill? Andrew Cooper: Water University was built because we believe in sharing our knowledge about the world’s water challenges and solutions available with our customers, our field force, and the market at large. The rate at which treatment and solutions technology are advancing is growing exponentially. Water scarcity is a major concern, and public awareness of how imperative this issue is and its need for a solution is also growing. We try to see these problems—and provide a solution for them—from our customers’ perspective. 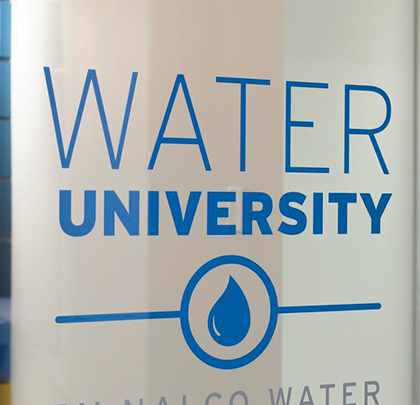 So it’s important not only for our industry as a whole but also for Nalco Water in particular, to have a university-type educational setting and a way to evangelize the message of minimizing water waste and maximizing productivity. Optimizing the total costs for customers is an essential feature of what we do. We’ve learned many times over that the more educated our customer base in the market is about the importance of water reduction, reuse, and recycle, the better it is for everyone. MPT: For which industries can an initiative like Water University have the greatest effect? Andrew Cooper: The world is really water stressed, and the participants and visitors to Water University know that not just from their time in the industry but by reading the news. For example, by the year 2030, water demand is expected to exceed sustainable supply by 40 percent. However, in a poll of current and prospective customers, we have determined that many are still unware of what role they can play personally in order to address that shortage. It’s our goal in partnership with customers that we, by 2030, can help save 300 billion gallons of water annually, which is the equivalent of the drinking needs of over one billion people. That’s just a target, but we believe it’s achievable through partnerships—that is, it’s not anything that any one particular entity can do alone. This effort requires collaboration and we know we’re a long way from where we need to be. Just to give you an indication of the challenge, U.S. industry reuses less than 10 percent of fresh water, and less than 3 percent of wastewater is recycled globally. Most of our customers’ systems—and the world’s water, really—is treated in a “once through” way, without the type of careful management that gets us to the water savings objectives that we all need. Ultimately, that’s the issue that we’re trying to address, and Water University brings together experts at our global research and development center for water to work on customer processes. This means bringing together engineers and our customers as partners, developing new tools and an awareness to address that issue. 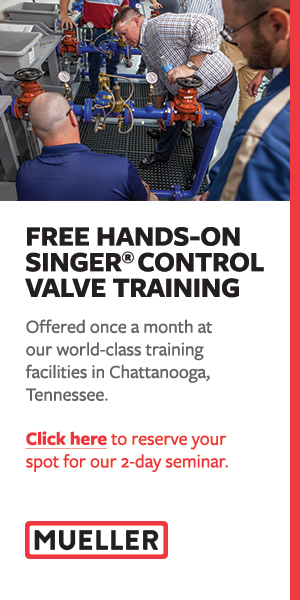 MPT: The Training Center is an important component of Water University. What role does it play? Andrew Cooper: Water University is designed to be a high-tech, experiential learning environment. It’s dedicated to developing the expertise of customers and our own associates in order to minimize water use and maximize results of water-driven processes—and to do this in a way that’s economically favorable. The Water University facility includes interactive video rooms, training centers, wet laboratories, a testing center, an auditorium, and a link for our System Assurance Center where we perform 24-7 monitoring of customers’ water systems.